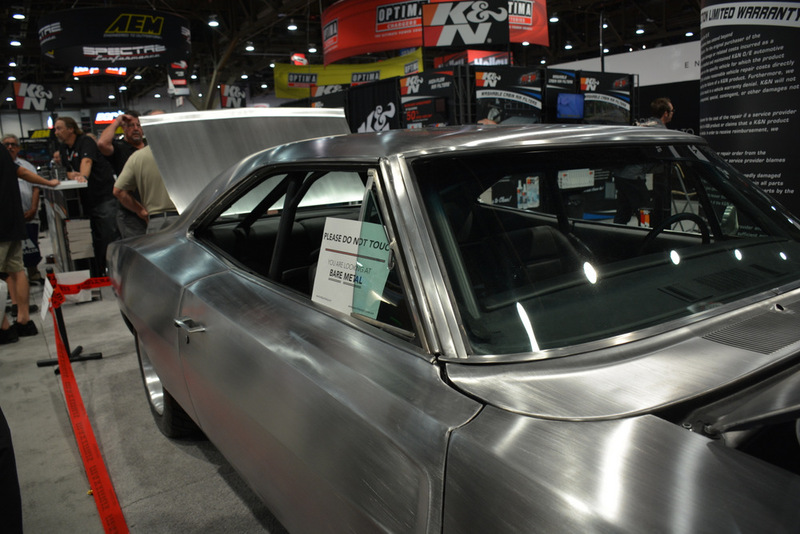 The 1968 Dodge Charger is one of the most iconic automotive shapes from the 1960s, or any decade for that matter. 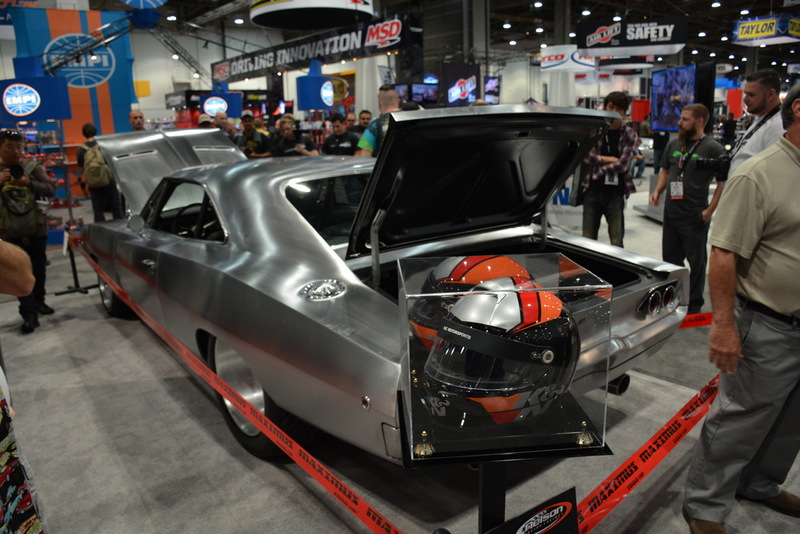 So what better chassis is there for Nelson Racing to show off its twin-turbo technology at the SEMA Show, capable of producing over 2,000 horsepower? Before we talk about the motor let’s first talk about this Dodge Charger, because this is not any ordinary 1968 Dodge Charger. 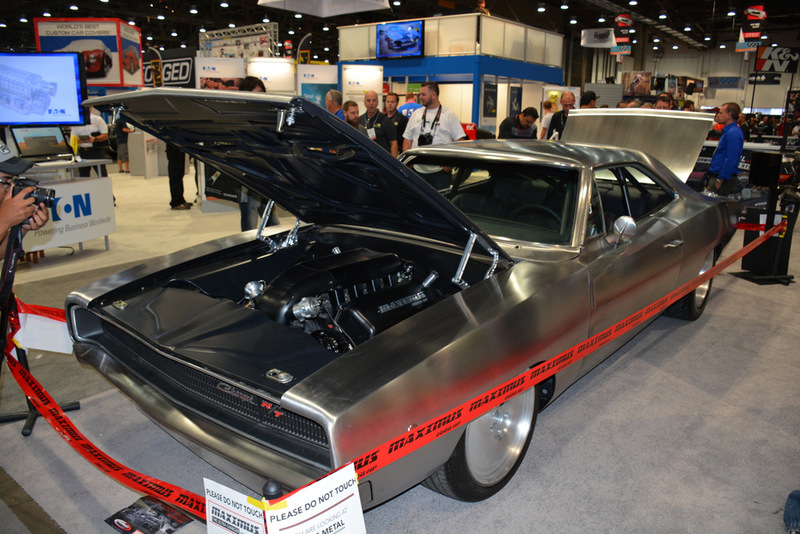 This is a Charger capable of stopping people in their tracks at SEMA -- no small feat. 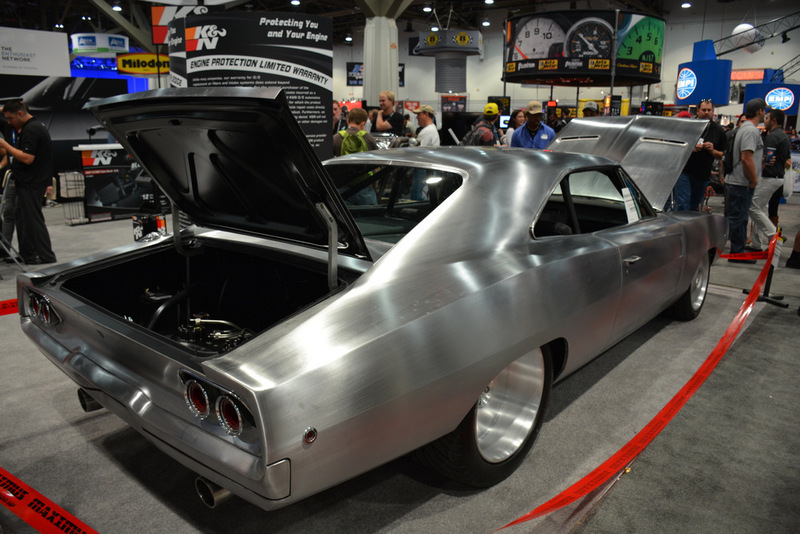 Nicknamed “Maximus," this big Mopar is still a work in progress. 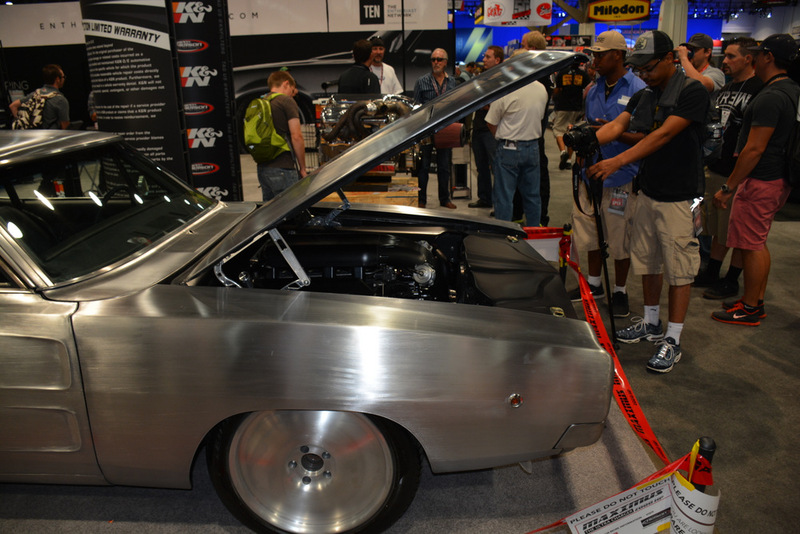 It actually made an appearance at SEMA in 2013, too. More fully realized then last year, Maximus was moved from its previous place at the back of the hall to the popular K&N booth, where it was displayed front and center. The first thing you notice is the bare steel body. Look closer and you may also notice that the proportions are slightly different than a stock Charger. The body is actually 6-inches wider than stock. But it is tastefully and meticulously done -- there is no trace of welding anywhere. It looks “just right” from every angle. Back to the monster motor. Nelson Racing Engines from Chatsworth, California has made a name for itself during the last two decades and is now associated with some of the biggest horsepower engines on the planet. So how does a 9.4-liter all-aluminum HEMI sound? Fantastic. The engine features twin-mirrored turbochargers, twin water-to-air intercoolers and a dual-injection intake manifold designed by Tom Nelson himself. The big HEMI is claimed to produce 2,000 horsepower and is capable of pushing Maximus to an 8-second quarter-mile. A planned aero package will possible make the car capable of hitting 260 mph! Nelson has stated that he will race Maximus against a Bugatti Veyron when done and by the numbers Maximus will likely win. Of course, a car with this much power needs to be able to handle and stop. Chassis upgrades make Maximus 400-percent more rigid than stock. The car equipped with a custom coilover front suspension, splined sway bars and a 4-link rear suspension. A Wilwood 6-piston brake setup both front and rear provides plenty of stopping power. The car is also fitted with custom 321 stainless turbo headers, and out back you'll see massive 3.5-inch tailpipes. 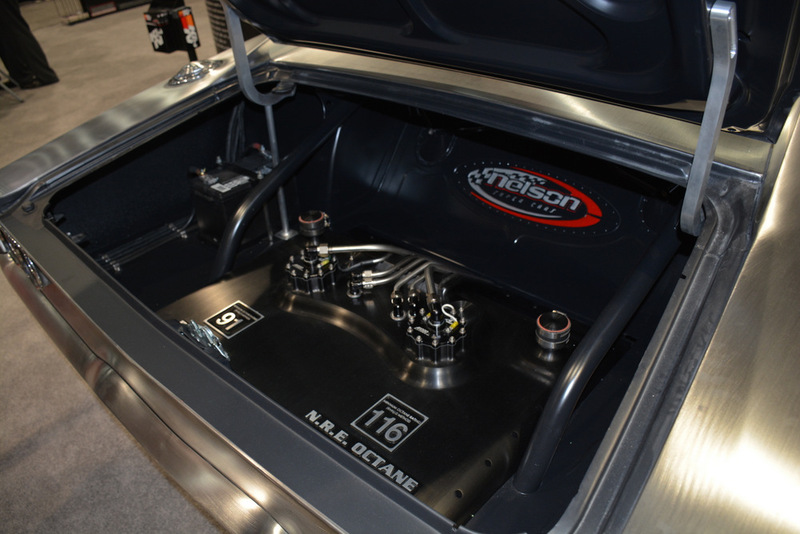 Open the trunk and there is a billet aluminum machined custom fuel tank that can automatically switch between 91 octane street fuel and 116 octane race gas. Right now the Charger is rolling on custom solid billet wheels with Mickey Thompson drag tires. 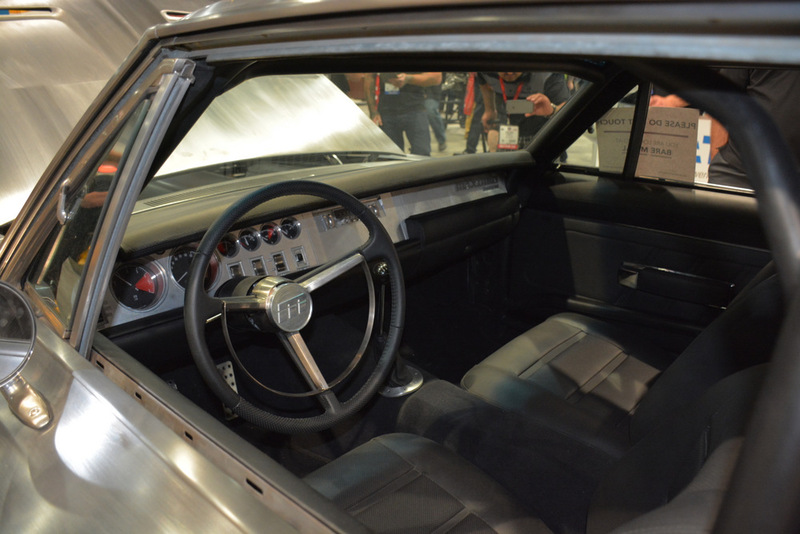 Let’s not forget about the interior. Plans for the interior include a top-notch sound system, high-quality upholstery, and cutting-edge video and security technology. This is definitely a step up from the Duke boys’ Charger! Look for Maximus to race a Bugatti Veyron and we’ll document the whole event. And Maximus will also make its big screen appearance in the upcoming Fast and Furious 7 movie where fans can see it in action.